This black-and-white portrait of two boys by Malick Sidibé offers an insight into a long and rich Malian tradition. On the evening of the tenth day of the Ramadan the Malian children go from door to door, dancing, singing and making music in exchange for some money and grains. The boys, who are called ‘Yokoro’, are armed with percussion instruments made of sticks to which cans are attached. 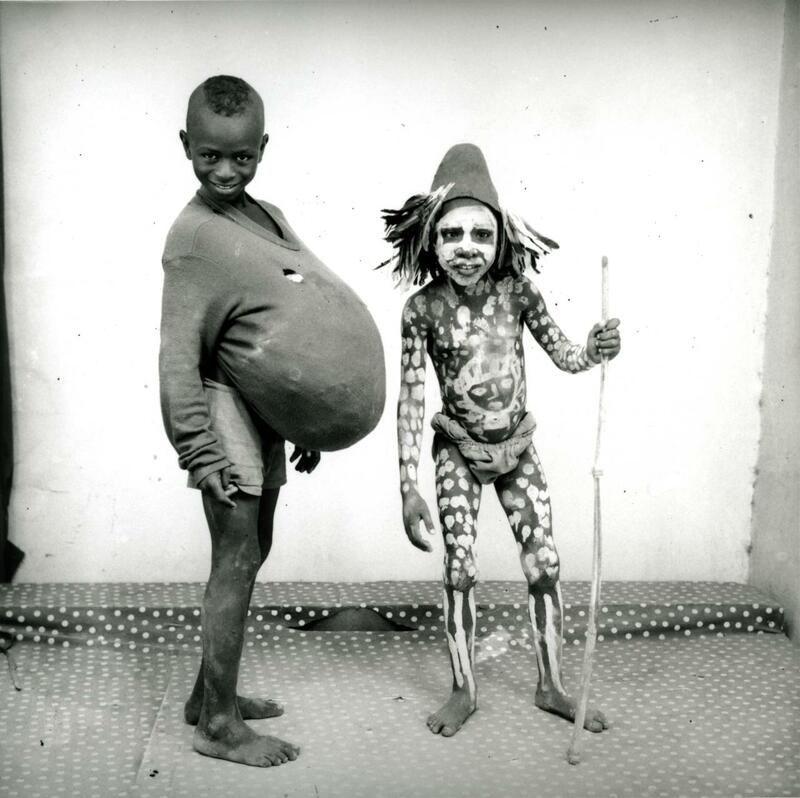 Many paint their faces with chalk and wear humoristic costumes with thick bellies to imitate the elderly. The girls, the ‘Salawaléwalé’, carry calabashes filled with water on their heads and traditional ladles in their hands. After the month of the Ramadan the children organize a feast with the money and grains that they collected. Half of the food prepared for this occasion is being thrown in het Niger-river as an offering to the goddess of the water, so that she will watch over all the children for the year ahead. Over the years this tradition has lost its importance in the Malian society. Recently, there have been calls to protect this practice as Unesco World Heritage.